Bitcoin is the best-known cryptocurrency platform around the world, but there are some things about it you still may not know. Let’s have a look at some Bitcoin facts and figures to give you a fuller picture of this popular blockchain-based cryptocurrency. In 2009, a person or a group of people known as Satoshi Nakamoto introduced Bitcoin to the world. He (or they) vanished off the Internet in late 2010, and he hasn’t been heard from since. Just as his identity is shrouded in mystery, nobody really knows if he’s even alive or dead. The only communication people had with him was through emails and forums. His Bitcoin wallet holds around 980,000 bitcoins, which makes him one of the richest people on the planet. Take up the Blockchain Certification Training today and learn to use the latest Blockchain tools! As a sign of respect for Bitcoin’s creator, the smallest unit of a bitcoin is known as a satoshi. One satoshi is valued at around 0.00005 U.S. dollars (as on 11th April 2019), which is a very, very low value. 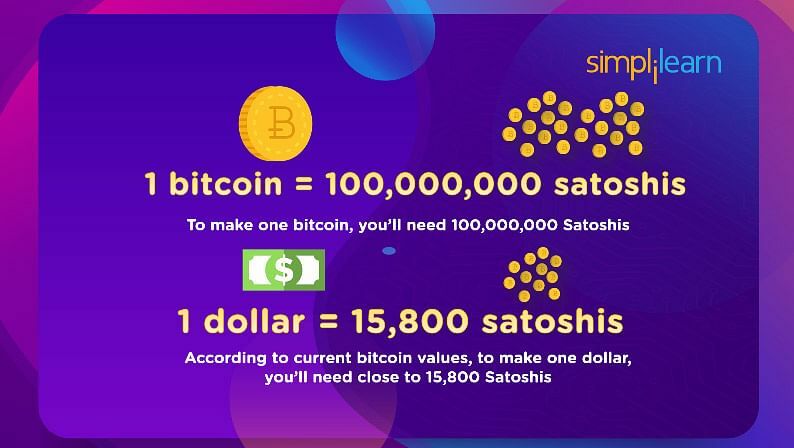 To make one bitcoin, you need approximately one hundred million satoshis. According to current bitcoin values, which fluctuate a lot, to make a dollar you need close to 15,800 satoshis. Losing your Bitcoin address, which is also known as your private key, not only means losing your unique identification; it also means losing all the bitcoins in your wallet. Research shows that at least 60 percent of all Bitcoin addresses are ghosts, which means a huge chunk of the people using Bitcoins have lost their addresses and have no way to access their wallets. In April 2015, a micronation between Croatia and Serbia known as Liberland was born. It was founded by Vít Jedlička, a politician, publicist, activist and the president of Liberland. The official currency of Liberland is bitcoin. The government believes that Bitcoin and its underlying concepts of blockchain provide a secure and transparent method for recording electronic, financial and physical assets. The process of mining bitcoins is expensive; you pay a lot in money, time and electricity. Mining bitcoins requires servers used for that specific purpose. The faster you process the data, the faster the block can be added to the blockchain, and the faster you’re rewarded with bitcoins. Ireland consumes approximately 5,000 kilowatt-hours of electricity each year. All the bitcoin mining farms together consume about 60 terawatt-hours of electricity, which is approximately 6 x 1010 kilowatt-hours—a large amount of power. 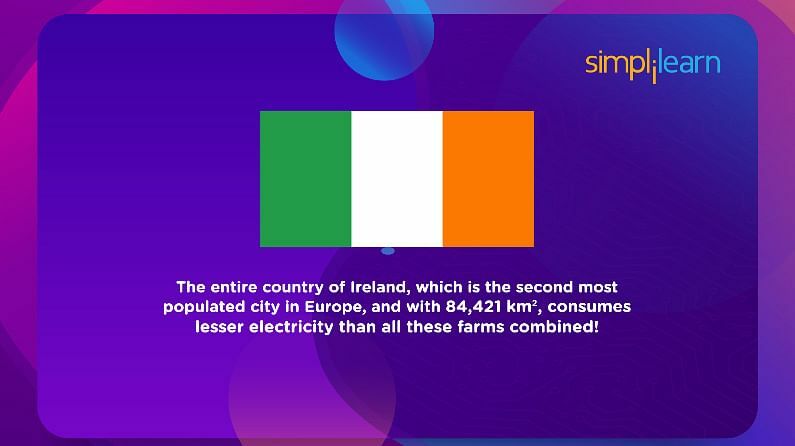 The entire country of Ireland, which is the second-most-populated city in Europe and has 84,421 square kilometers of area, consumes less electricity than all these farms combined. Although several countries around the world, such as Canada and America, have wholeheartedly accepted Bitcoin, some haven’t. Countries including Bolivia, Iceland, Bangladesh and Ecuador have completely banned the usage of bitcoins. There are also countries, including India, Thailand and Iran, that have asked their residents to be careful while using cryptocurrencies but haven’t completely banned it—however, they do not accept it as legal tender. There’s a limit to how many bitcoins can exist in the market: 21 million. As of this moment, 17 million bitcoins are already in circulation; that means almost 80 percent of the 21 million have already been mined. But don’t worry; until 2140, we will still have bitcoins to mine. This is because of how miners are rewarded. 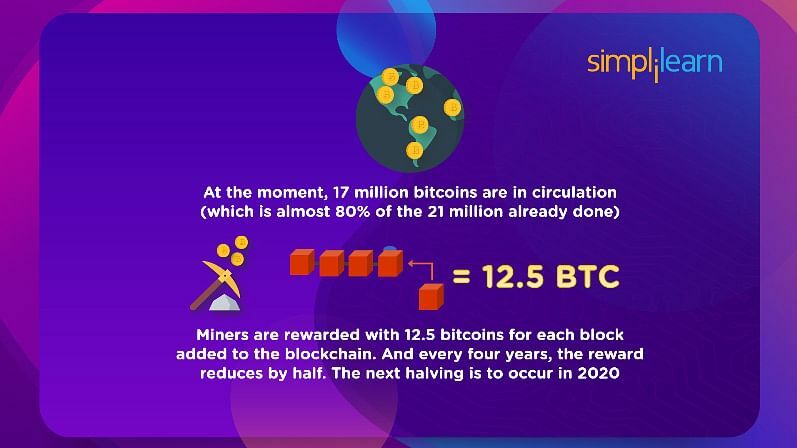 Miners are rewarded with 12.5 bitcoins for each block added to the blockchain, and every four years the reward is reduced by half. The next halving is supposed to occur in 2020, when the reward will be reduced to 6.25 bitcoins. The terms “Bitcoin” with an uppercase “B” and “bitcoin” with a lowercase “B” mean two different things. The latter (bitcoin) refers to the cryptocurrency that is used to perform the transactions. The former (Bitcoin) refers to the ledger that stores information regarding these transactions. Want to set up your own private Blockchain network? Take up the Blockchain Course and find out how! 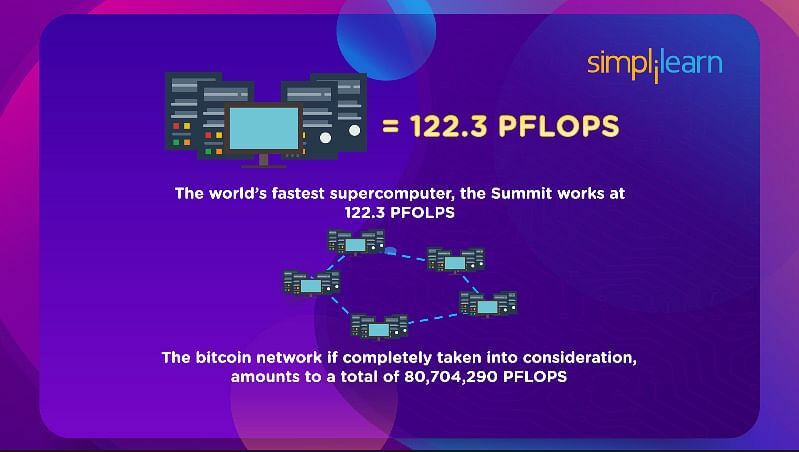 The world’s fastest supercomputer, the Summit, works at 122.3 petaflops, which is a quadrillion floating point operations per second. If you look at the entire Bitcoin network, the processing power is about 80,704,290 petaflops. But a supercomputer can do several different things, while the only thing the Bitcoin network does is add blocks to the blockchain. Hopefully, you’ve enjoyed discovering all of these facts about Bitcoin! If you’re interested in learning more about Bitcoin and blockchain, sign up for Simplilearn’s Blockchain Basics course. Want to really take your career to the next level? Consider becoming certified as a blockchain expert with Simplilearn’s Blockchain Certification course.